At Dogs In Motion, owners of arthritic dogs often seek advice regarding appropriate dietary supplements. 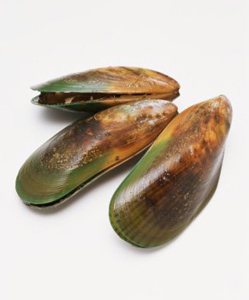 Most will have received advice regarding the use of glucosamine or fish oils but more recently green lipped mussel (GLM) has come into vogue. So what is the evidence for the use of GLM in arthritic dogs? GLM is known to have anti-inflammatory components and its powder is shown to contain glucosamine components and omega 3 fatty acids, all known to be beneficial in arthritis. As with most supplements, initial studies have been done in humans. Such studies have shown conflicting results dependent on the type of arthritis. Significant improvements were seen in clients with Osteoarthritis (OA) whilst GSM had a less positive influence on Rheumatoid arthritis clients (RA) in the majority of studies. In dogs, though arthritis is known as degenerative joint disease (DJD), it shares osteoarthritic traits in the majority. Studies in dogs with DJD have indeed been quite promising. Dogs treated with GSM for between 6 weeks and 6 months have showed significant improvements in measurements such as joint pain and swelling as assessed by a vet. Measurements looking at joint movement did not show a significant improvement. It can however be argued that treating arthritis is in the main part about achieving pain management and that altering the physical changes within a joint through the use of a supplement are unlikely. Some owners may question why GLM is not just included within their dog’s food. It has been shown that the heat treatment involved in food production markedly reduces the beneficial effects of the supplement. Another common question is there any point using GLM in combination with the anti-inflammatories my dog is already on? The answer here is yes. There is evidence that GLM reinforces the activity of some anti-inflammatories but also markedly reduces gastric ulceration associated with their use, which whilst much less common in the dog is a possible side effect of long term use. Finally evidence suggests the powder form is more effective than the extract. Many dosages can be found online but a study published in the Journal of Nutrition in 2002 states that small dogs that weigh less than 50 pounds should be given 450 mgs of supplement per day. Medium sized dogs that weigh anywhere from 50 to 75 pounds should be given 750 mgs per day. Large dogs that weigh more than 75 pounds should be given 1000 mgs per day. It is advised to cater for your own pets needs by for example using a higher dose in the winter months and reducing same when your dog is doing well. Tags: Animal Physiotherapy, arthritis, dog physiotherapy, green lipped muscle | Permalink. Thanks for sharing the article. Its really so effective as a dog physiotherapist I would really like to thanks for sharing such kind of articles.